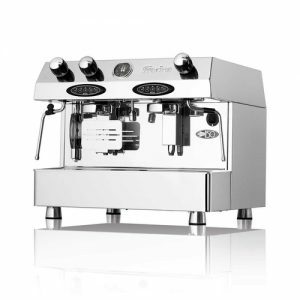 The Rosetta espresso machine from Expobar impresses with striking visuals and a great level of service. 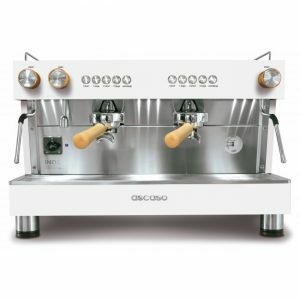 A fully automatic espresso coffee machine with 2 groups, an electronic switchboard which can control coffee dosages by volume and a large boiler capacity. 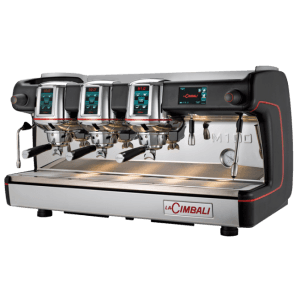 Impress clients, customers and staff today with excellent cups of freshly brewed coffee. 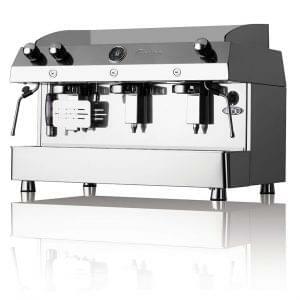 Expobar expand their award winning range with the Rosetta Display Control 2 Group Coffee Machine. 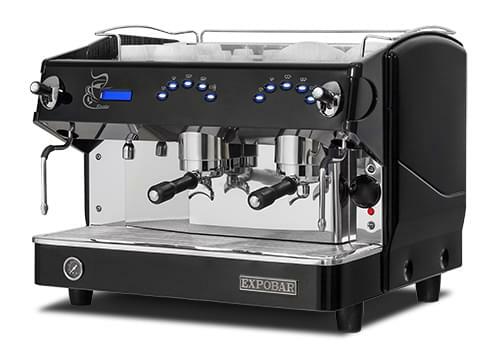 The Rosetta is an automatic espresso machine boasting 1, 2 or 3 groups depending on your choice, electronic switchboard for dosage control and an 11.5 litre copper boiler. Apart from the great internal arrangement, the Rosetta also boasts an incredible, eye catching design with blue LED control lights and black casing. The benefits of choosing a Rosetta don’t end there though, with 2 steam arms and 1 hot water tap at your fingertips it would be hard to fall behind with your level of service.